Marissa Mayer is pregnant and somehow I know about it. It all feels very wrong, and TechCrunch themselves pretty much acknowledge that it feels wrong (see below). So she's having Twins - I'm delighted for her. But why is that relevant to the mainstream tech journalism? To state the bleeding obvious, it is not common knowledge if a male CEO has kids on the way. TC suggests, hopefully correctly, that it will increase her workload - which parenthood does for the father too (one would hope). Marissa Mayer is expecting twins, but the Yahoo CEO and former Google executive isn’t planning to take a significant break from work during or after her pregnancy.... TechCrunch isn’t TMZ, we don’t cover celeb news, but Mayer leads a major technology company and is a high-profile woman working in tech, so naturally many of her decisions — and particularly how she balances work and family life — are noteworthy. Certainly, carrying — and then caring for twins — in addition to a highly charged CEO role at a prominent tech company in transition (and raising another child) is quite the workload. 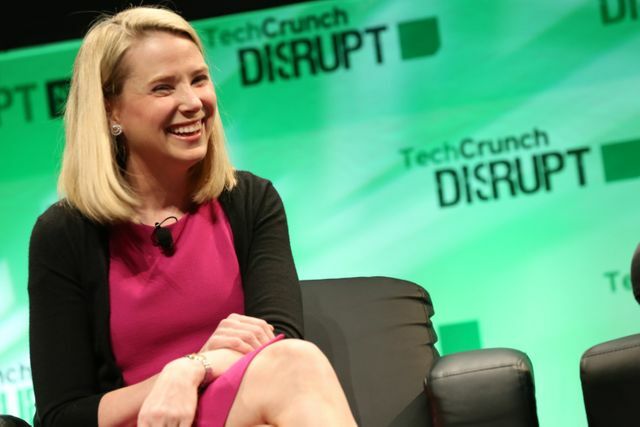 Why does Marissa Mayer's "limited time off work" after having twins make news? WHY??? ?